E-tons of great stuff today! 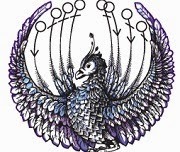 • At HiLobrow: "King Goshawk Part 30" by Eimar O'Duffy. Science Fiction. Satire.1926. 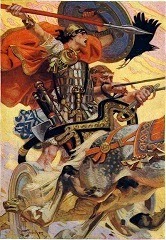 "First the mythical Irish hero Cúchulainn, then his son Cuanduine, travel to Earth in order to combat the king capitalists. Thirty-five years before the hero of Robert Heinlein’s Stranger in a Strange Land, these well-meaning aliens discover that cultural forms and norms are the most effective barrier to social or economic revolution." • At Nightmare Magazine: "The Misfit Child Grows Fat on Despair" by Tom Piccirilli. Horror. "Fate arrives disguised as choice. As if you could actually say, Screw this, I’m out of here, or just get down on your knees like everybody else. But John’s got to shrug and go, 'Hmmm.'" • Now Posted: Scigentasy #6. Fantasy. Science Fiction. • "The Hoof Situation" by Bonnie Jo Stufflebeam.
" My hooves came. Yesterday my feet cracked, and this morning they are beautiful hooves, with gold fur atop them. I stretch and wiggle them under the quilt my grandma sewed me. It’s time now for me to sew my granddaughter’s quilt. Behooved, it’ll be the only thing I’m capable of, confined to bed and the rocking chair, confined to wherever my daughter and granddaughter carry me." • "This Shall Serve as a Demarcation" by Bogi Takács. "I sit up on the futon and pull up one sleeve to examine my arm – lighter-toned in branching lines like the bare, defoliated frames of trees in winter. I used to be cut along those pathways, gleaming metal and shapeforming plastic set into flesh, embedded to remain inside – a part of me forevermore." At Daily Science Fiction: "Earth's Destruction: A Crowdfunding Campaign" by Nicky Drayden, Science Fiction. At 365 Tomorrows: "Child of Earth" by Cesium. Science Fiction. 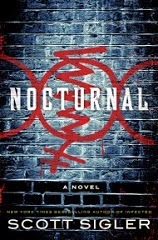 • At Author's Site: "Nocturnal: Episode #39" by Scott Sigler. Paranormal Thriller. "Rex Deprovdechuk claims to be the king of Marie’s Children, but to cement his rule, he must become one with the Queen. Aggie James finally escaped the White Dungeon, but he didn’t get far. Now he comes face to face with new threats: Bryan Clauser and Pookie Chang. Amy Zou has returned home to her family — what will she do to keep her twin daughters alive?" All earlier chapters here. 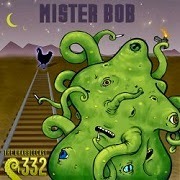 • At Drabblecast: "Mister Bob" by Dan Campbell. Comedy. Strange. "Miss Sanderson reached out and tapped the translation device on the table, then picked it up and fiddled with its settings. She was the ugliest female of her species I’d ever seen– obscenely symmetrical features, pale hair and complexion, long limbs–and yet forever twirling a finger in her hair like she was trying to proposition me." • At Forgotten Classics: "Episode 260: The People of the Mist, chapters 30-31" by H. R. Haggard. Adventure. "In which Soa surprises Leonard, the lovers surprise each other, and Otter is not surprised at all." 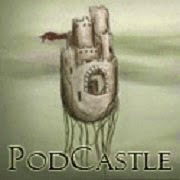 • At PodCastle: "PodCastle 321: Paya Nak" by Benjanun Sriduangkaew, read by Nina Shaharuddin. Fantasy. "There is a thing in the cradle I rock, a lump of flesh, stained in my fluids. This is what killed me. A parasite that took all my food, stole all my breaths, until one day I woke up to find my heart stopped." 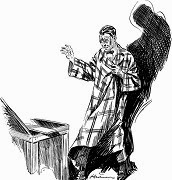 • At SFFaudio: "Podcast #274 – Facts Concerning The Late Arthur Jermyn And His Family" by H.P. Lovecraft, read by Gildart Jackson. Horror. 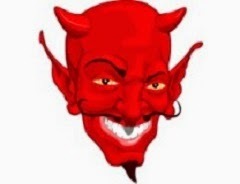 "Life is a hideous thing, and from the background behind what we know of it peer daemoniacal hints of truth which make it sometimes a thousandfold more hideous. Science, already oppressive with its shocking revelations, will perhaps be the ultimate exterminator of our human species--if separate species we be--for its reserve of unguessed horrors could never be borne by mortal brains if loosed upon the world." 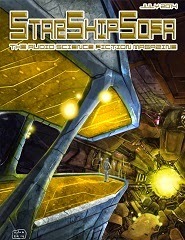 • At StarShipSofa: "StarShipSofa No 347 The Region of Jennifer” by Tony Ballantyne, read by Trendane Sparks. "The region of Jennifer extended to about thirty kilometres. Out there, amongst thedecaying factory belt, daffodils pushed their heads through the tired earth of the canal banks.The Steam Barons may have lost their power, but the world still bore their scars. Even so, Jennifer was at work to make things beautiful." 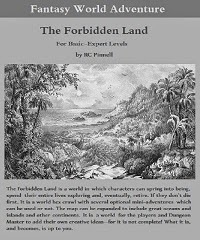 • At Dragonsfoot: "The Forbidden Land" by RC Pinnell. 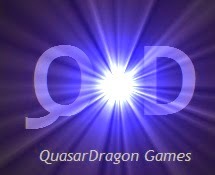 "This is a world in which characters cans pring into being, spend a lifetime exploring, and eventually retire;unless they die prematurely.Even then,magic can sometimes overcome an early demise.It is intended for both seasoned and novice players.There is no restriction on the level of characters to be used with this product. Each suggested mini-scenario within has parameters regarding character levels, and you should set your own as well when designing your own encounters to place within the world. Beginning and low-level groups can certainly undertake to explore the wilderness within this product, but they should be advised that doing so will likely have a lethal outcome."